Malaysia has detained 95 people with suspected links to the Islamic State in Iraq and Syria (ISIS) thus far, the country’s national news agency Bernama reported Thursday, citing Home Minister Ahmad Zahid Hamidi. Zahid said that the number had been at 93 and increased to 95 following the tabling of a controversial anti-terrorism bill known as the Prevention of Terrorism Act (POTA) (see The Diplomat’s coverage here and here). He also added that Malaysian police were actively monitoring individuals and groups who may have such connections through various mediums including social media. “We send out our intelligence team to monitor their activities … we cannot simply arrest them without investigating,” he said after attending the Ministry’s 2014 Excellent Service Awards. Zahid’s comments come just days after a controversy over the numbers of alleged Malaysian ISIS sympathizers. As The Diplomat reported on April 14, media outlets had cited Deputy Defense Minister Abdul Rahim Bakri as telling parliament that around 70 army personnel were found to have been involved with ISIS, a figure which had allegedly been confirmed by the police. As The Diplomat noted, he did not provide additional specifics as to the nature of those links. But the minister later issued a statement denying that he had said that. He claimed that his figure of “almost 70 Malaysians” referred to “various backgrounds,” rather than just military personnel. “The report is malicious and aimed at tarnishing the image of the Malaysian armed forces,” he added. Yet Zahid’s different and higher total number of 95 only further illustrates the discrepancy that can exist in the reporting of such numbers. Regardless of the numbers, Malaysia has been growing increasingly alarmed about the terrorism threat at home. Just earlier this month, the country detained 17 people suspected of planning terrorist attacks in the country’s capital, with two of them having recently returned from Syria. As The Diplomat reported, Malaysia’s police chief Khalid Abu Bakar said that the militants were part of a terror cell inspired by the Islamic State trying to create a similar regime in Malaysia. The group was reportedly planning to raid several army camps and police stations to boost their arsenal of weapons. Yet some of the government’s moves, including the introduction of POTA, has sparked concerns among critics. 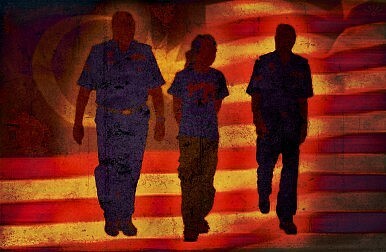 POTA bears similarities to the Internal Security Act revoked in 2012, which allowed indefinite detention without trial. According to Bernama, Zahid also noted that the threat from criminals extended to the cyber realm, and said the new Interpol complex based in Singapore would enhance its cooperation with Asian countries and assist the ASEAN chiefs of police to help combat regional cybercrime. Malaysia has already seen several high-profile cyber-attacks in 2015, including one involving Malaysian Airlines in January.